The installation of a new boardwalk to widen pedestrian access adjacent to the canal basin. 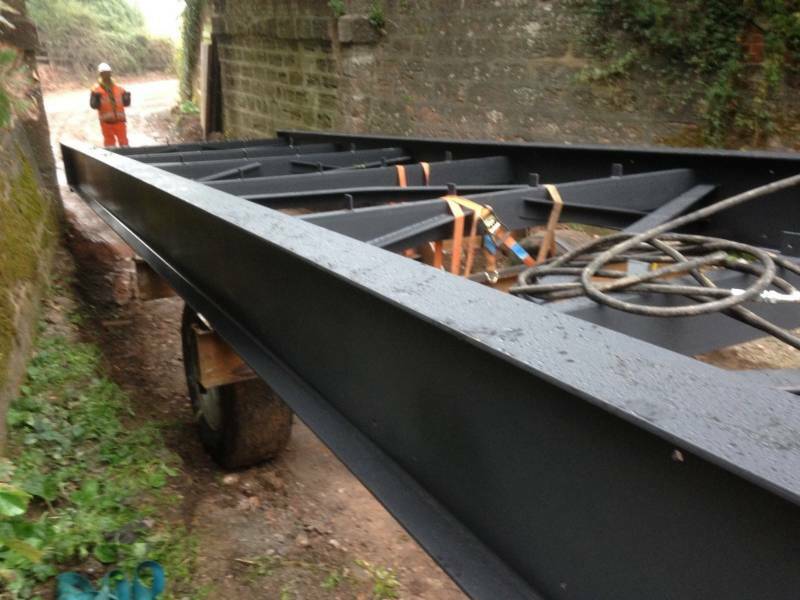 It took a dedicated team working seven days a week, to fabricate, grip blast and paint the 19 sections of boardwalks, ramps and 4 viewing platforms at our fabrication facility on the Exeter canal. Every section was inspected and tested by Sandberg LLP. Each boardwalk section weighed approximately 6 tonnes before the timber was added. 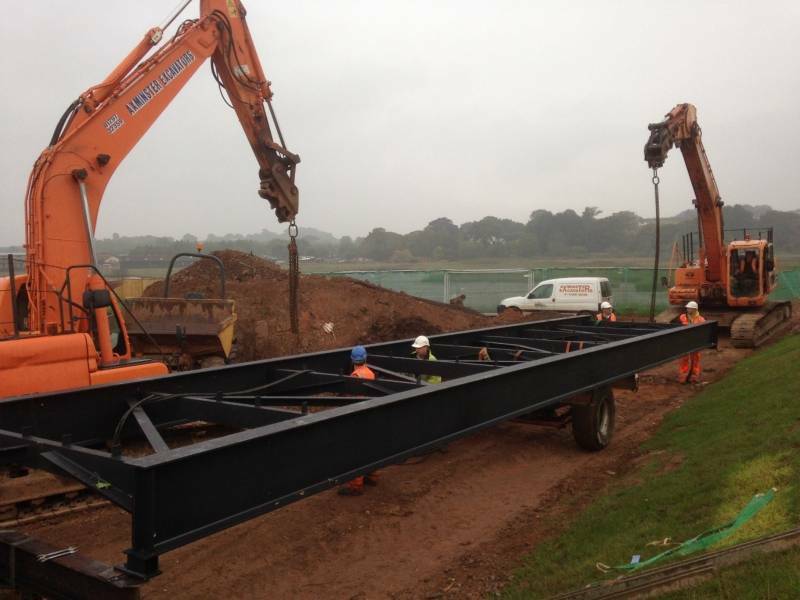 The 19 sections of boardwalks, ramps and 4 viewing platforms were delivered to site. However, delivering to site presented significant challenges. 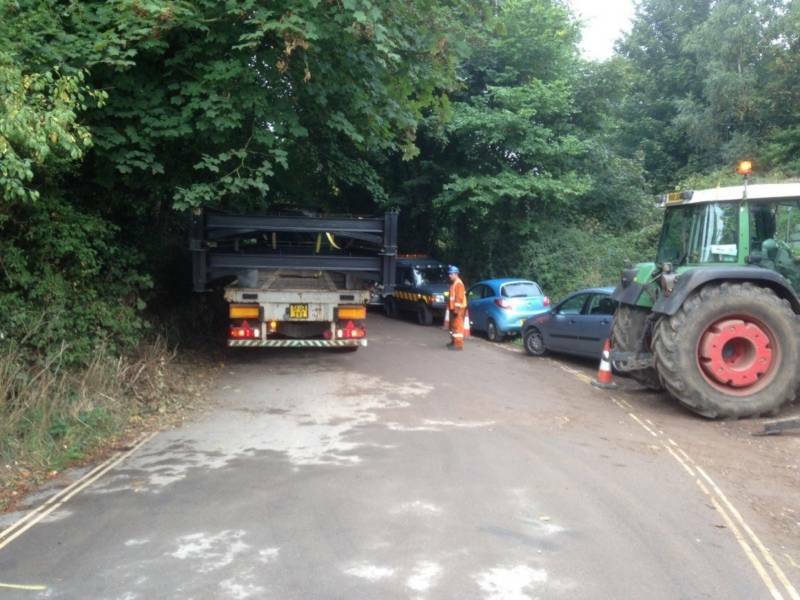 The road leading down to the site was narrow with no turning space meaning the lorry had to reverse for over a mile. And access was further limited by a low and narrow railway bridge. There was very little clearance under the railway bridge; not enough height for a lorry to pass under, just enough width for the boardwalks to fit through and the road followed a 90 degree dogleg. 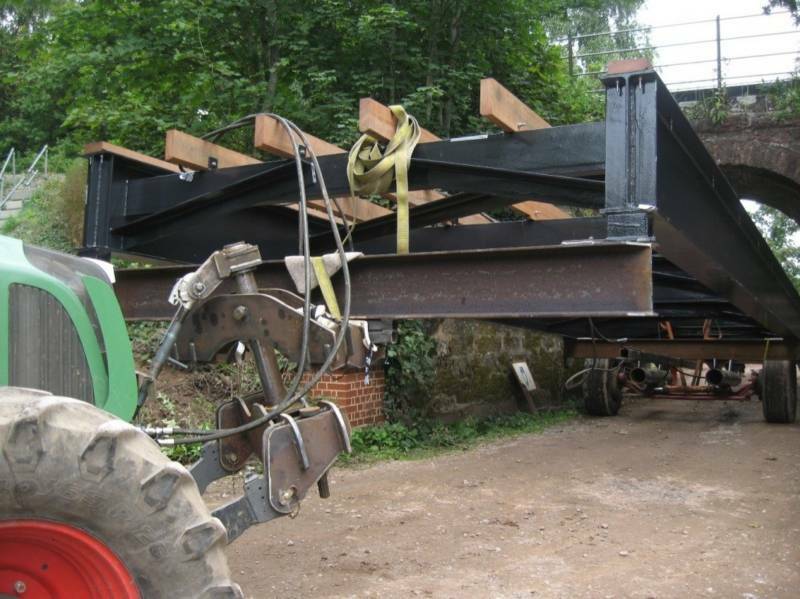 Our solution was to use a lorry with a self-load capability (Hiab) as there was no room for a crane. 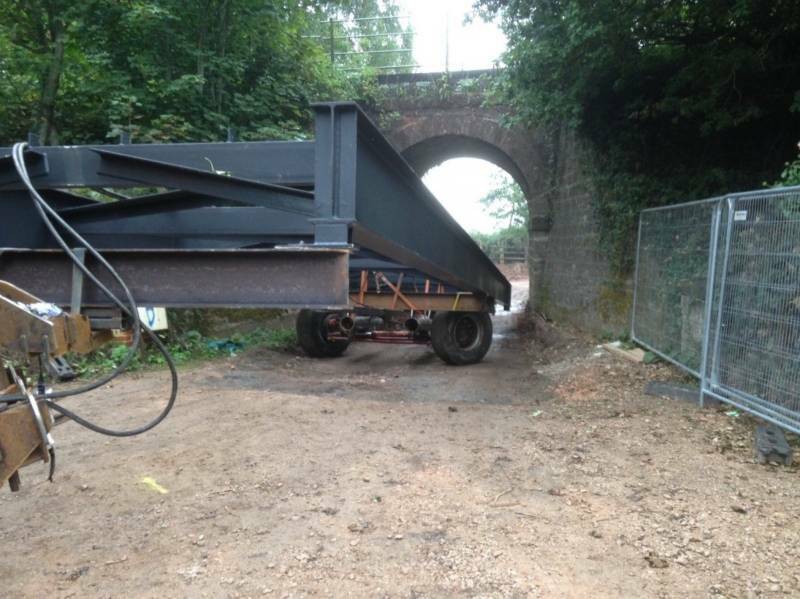 Working with our partners at Axminster Excavators a specialist articulated ‘trolley’ that coupled to the front of a tractor and was able to navigate under the very narrow railway bridge. 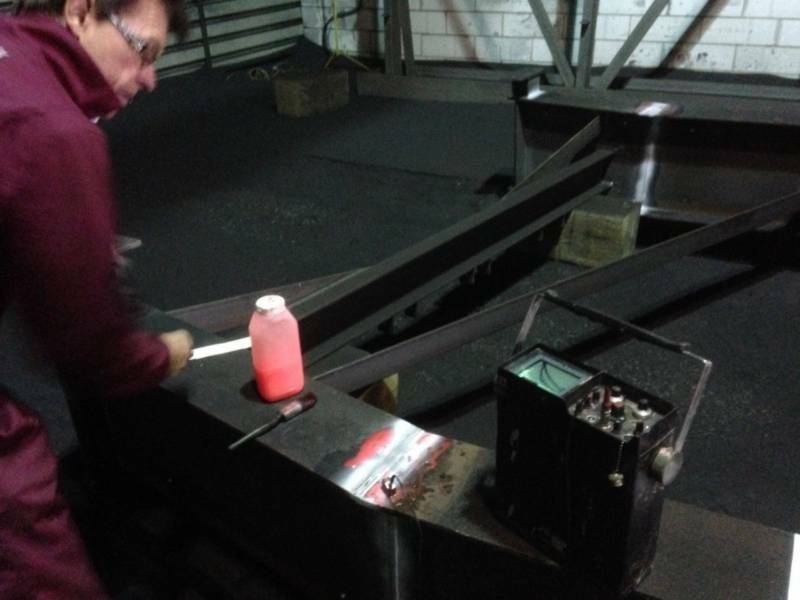 The trolley incorporated a hydraulic steering ram so we could steer the trolley independently through, under the bridge and around the tight corner. There was access for a crane on site. Two excavators were used to swing the boardwalk sections into place on steel trestles mounted on concrete piles. 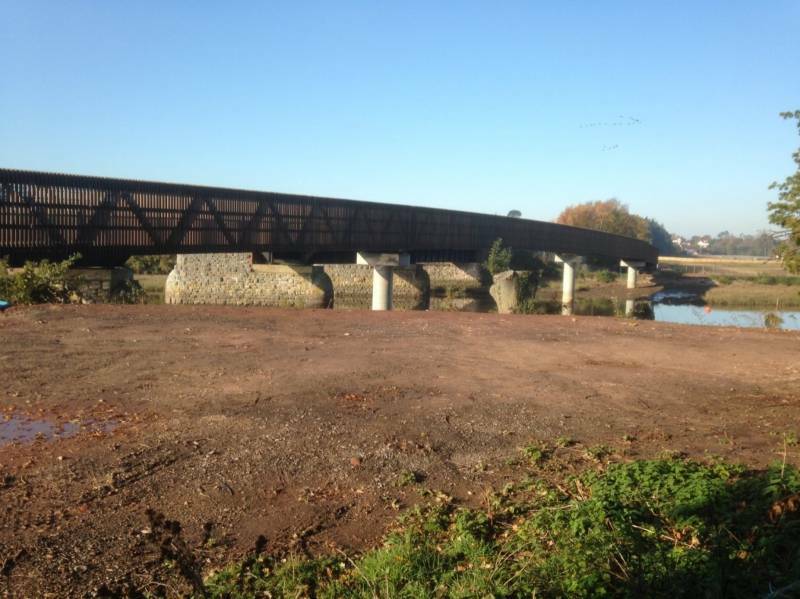 Final stage of the contract was to install all the timberwork on the bridge, ramps and boardwalks and viewing platforms. We delivered the fabrication and installation of the timber boardwalk on time and on budget without causing disruption.